Prominent & Leading Manufacturer from Meerut, we offer batting gloves(limited edition), batting gloves(titanium), batting gloves (test), batting gloves(magnum), ultimate batting gloves and batting gloves (super). 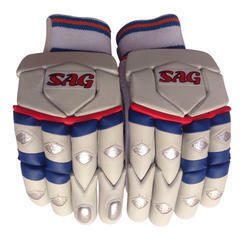 To meet divergent demands of the clients, we bring forth an extensive assortment of Limited Edition Professional Batting Cricket Gloves. Precisely fabricated using premium quality material; the given product is high-density foam gloves which are used to provide protection to hands while playing. Moreover, these can be availed from us at reasonable rates. These Black Panther Cricket Batting Gloves are highly acknowledged by our customers owing to light weight, excellent finishing and optimum quality. Additionally, these products are available at pocket friendly prices to our customers. 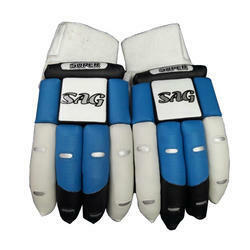 With our rich industry experience, we are providing a wide assortment of Super Hornet Cricket Batting Gloves. We assure our clients that these gloves are quality checked against various predefined quality parameters. In compliance with the current market trends, our offered gloves are precisely designed using latest machinery and best quality fabrics. These gloves are known for their perfect finish and bets quality. 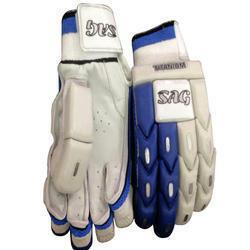 Magnum Cricket Batting Gloves is prepared with imported PU material with molded fiber cell fit inside the glove. Its improved protection and durable material will give you better feel, comfort and safety. Palm is made of imported leather which gives perfect gloves fit and extra cushion for better comfort.way with enhanced protection level will ensure the safety of your finger. 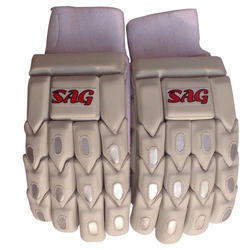 Ultimate Batting Gloves is prepared with imported PU material with molded fiber cell fit inside the glove. Its improved protection and durable material will give you better feel, comfort and safety. Palm is made of imported leather which gives perfect gloves fit and extra cushion for better comfort.way with enhanced protection level will ensure the safety of your finger. 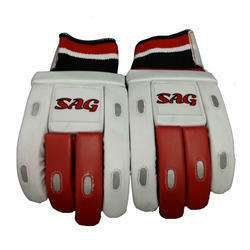 Light Weight Batting Cricket Gloves is prepared with imported PU material with molded fiber cell fit inside the glove. Its improved protection and durable material will give you better feel, comfort and safety. Palm is made of imported leather which gives perfect gloves fit and extra cushion for better comfort.way with enhanced protection level will ensure the safety of your finger. 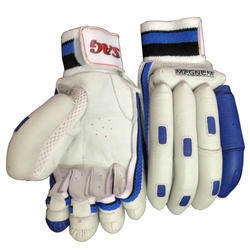 Cricket Batting Gloves is prepared with imported PU material with molded fiber cell fit inside the glove. Its improved protection and durable material will give you better feel, comfort and safety. Palm is made of imported leather which gives perfect gloves fit and extra cushion for better comfort.way with enhanced protection level will ensure the safety of your finger. Looking for Batting Gloves ?